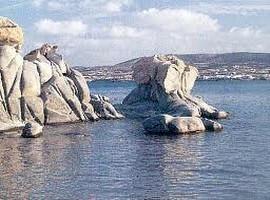 Paros, west of Naxos, is famous for its marble. Beaches with golden Sand, marvelous turquoise crystalline waters, traditional white houses, chapels and twisted paved streets set a classic Greek -Island scenery. In recent years , the island attracts millions of tourists during summer, because of the excellent beaches and the highly developed tourist facilities. Many tourists prefer to stay in the capital of Paros: Parikia, a charming village with white houses and whitewashed streets where you can stroll and shopping. The port is busy, as almost all the ships stop here. 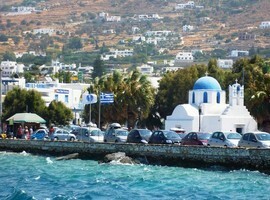 For this reason, Paros is a perfect place for holidaymakers from island to island. 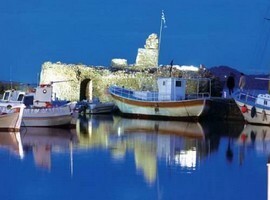 Other tourists prefer the smaller villages, especially the small fishing village of Naoussa. The fishing boats are everywhere, and fishing is the traditional source of income for islanders. 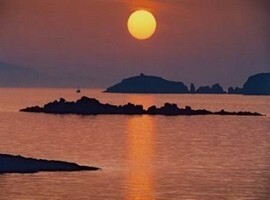 The marble of Paros is known since antiquity, and is also a good income for the island. 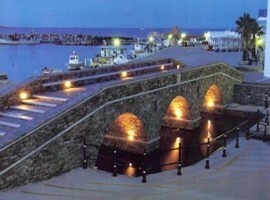 Parikia, the capital of Paros is worth a spin. There is also an interesting museum with findings from several different periods of Greek history. The church of St. Constantine was built over the ancient temple of the goddess Demeter. Parts of the temple were also used for the construction of the Frankish castle from the 13th century the city. 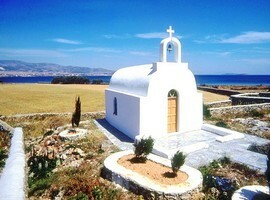 Katapoliani is one of the earliest Christian churches in Greece, located in the Park of Paros. According to tradition it was built by St. Helena and belongs to the original building since 300 AD. In Marathi, you can visit the caves of the nymphs. These two caves in the first entrance is a sculpture of the Nymphs. Delio in the ruins of an ancient temple to Apollo, and about 11 kilometers from Parikia is the famous Asklipieio temple dedicated to the god of medicine, Asclepius. 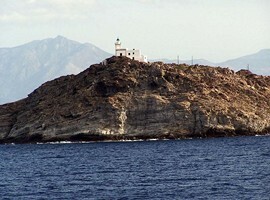 Naoussa is a picturesque town on the north side of the island. Here are the ruins of the Venetian castle of the 15th century. 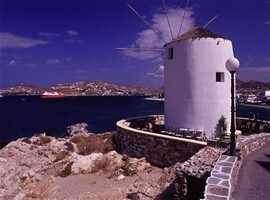 Around the harbor and the beach you will find many taverns, restaurants and cafes. For nature lovers, a few kilometers away from Parikia is the Butterfly Valley and there are organized tours to this region. If you are the lazy person, you can go and relax to one of the numerous numerous beaches including Chrissi Akti(Golden Beach), Logaras, Piso Livadi, Naoussa bay, Parikia and Agia Irini,. 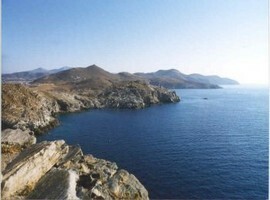 The two most famous beaches near Parikia, are Krios and Livadia. Livadia is a major beach close to town which offers the extra coolness of a tree’s shade. Krios is a little bit further away, and it features some camping facilities and beach volleyball sports. Both beaches are full of restaurants, bars and shops offering you the comfort not having to leave the place all day long. Piperi is a small beach, half a kilometer west of Naoussa, an option for people who want an even more peacefull place to spend their day. However, if you are the excact opposite, a more lively or even adventurous person, Punda beach is the place for you. Located near parikia, the Island capital, Punda is usually a more crowded beach, with loud music and extreme sports activites such as Kitesurfing. 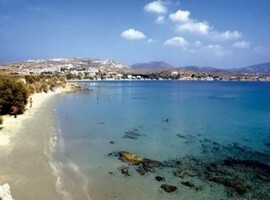 This is the location of the famous Punda Beach Club, the most famous club in Paros. This place is known for its crazy parties and countless events during the summer season. On the southeastern side of the island, lies Golden beach, a beach famous for the Professional Windsurfing World Cup is organized there every August.